Full or partial schedules can be imported into a Week or Day. Set whether you want to “Unassign all imported shifts” (most users will choose this to clear work assignments so that they can use AutoFill to automatically assign the shifts later based on the new week’s availability). 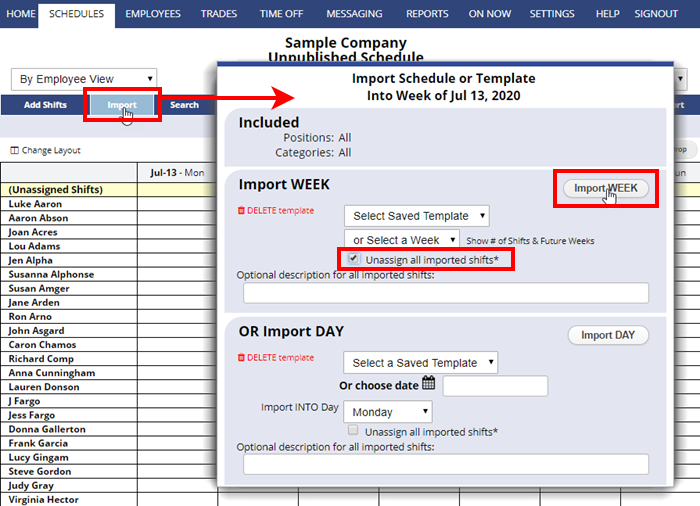 Import is only available to managers with permission on weekly UnPublished Schedules.